Captain Mark McClutchey has been chasing salmon and trout on the Great Lakes for the last 20 years, and enjoys sharing this experience with charter customers. 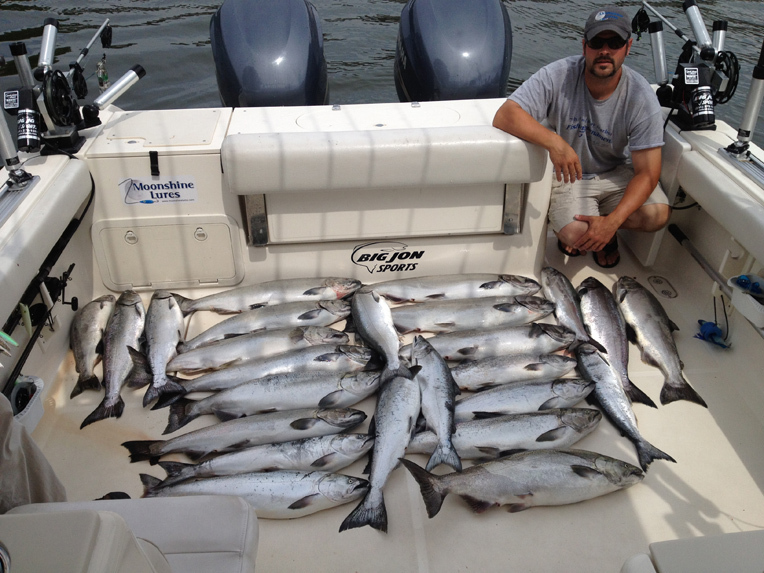 In addition to charter fishing, Mark competes in professional salmon tournaments throughout the Great Lakes. 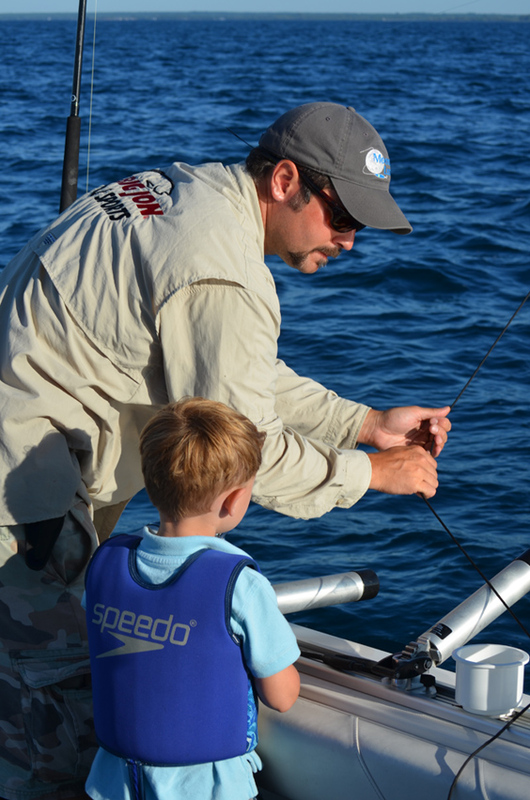 Mark serves as pro-staff for the best tackle manufacturers in the sport fishing industry, and has presented at various fishing seminars throughout the Great Lakes. The Diabolical is a 31′ Pursuit 3070 Express, powered by twin 225hp 4-stroke Yamaha outboards. The boat features a wide 10’6” beam, making it one of the largest and fastest charter boats fishing the Straights of Mackinaw. Diabolical is licensed by the U.S. Coast Guard to carry up to six passengers, and features a wide, comfortable fishing area. 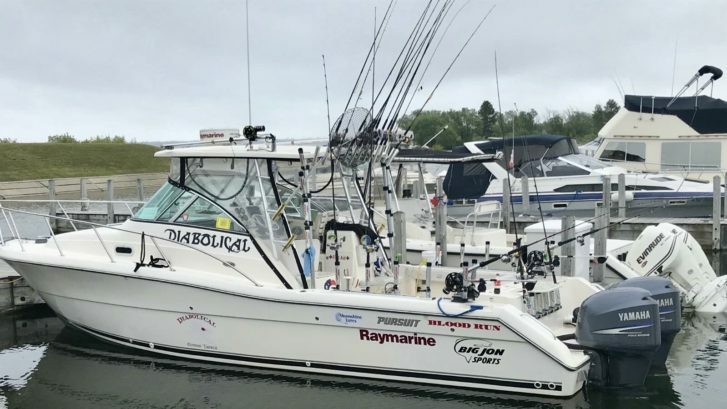 Diabolical is equipped with top end Raymarine electronics, including HD digital radar, GPS chart plotters, and fish graphs located at both the helm and back deck. We pro-staff for the best tackle companies in the business, and use the best rods, reels, and lures available. Diabolical will get you to the fishing grounds quickly and safely, and can handle the rough seas the Great Lakes are capable of producing. The boat has a very clean, private bathroom located inside the cabin. The boat is licensed by the U.S. Coast Guard and fully insured.